If you take a 42 mile northeast jaunt up the Baltimore-Washington Parkway, you’ll find yourself walking through the historic Baltimore neighborhood of Fells Point. A home to Frederick Douglass and drinking spot for Edgar Allen Poe, the area was established in 1730 by William Fell, and bore the names “Fell’s Prospect,” “Long Island Point,” and “Copus Harbor,” before finally settling on Fells Point in 1763. Home to the Fells Point Ship Yard, area shipbuilders produced world renowned schooners (aka Baltimore Clippers) whose easy handling and quick speed helped U.S. Privateers plunder British shipping vessels during the late 18th and early 19th centuries.During this era the shipyard also produced the USS Constellation, a 38-gun frigate that was the first US Navy warship to engage with, defeat and capture an enemy. 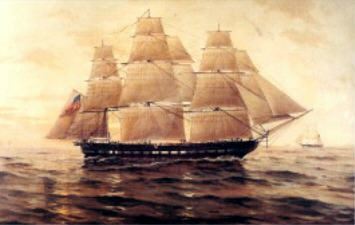 However, make no mistake; this vessel is not to be confused with the same named 1854 sloop-of-war that now resides in Baltimore’s Inner Harbor. 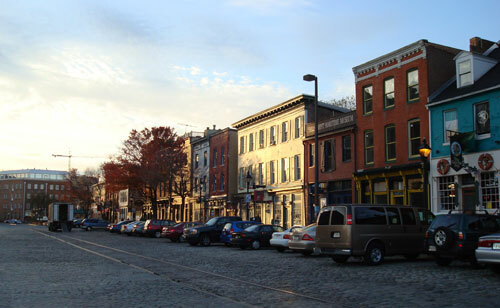 A landmark feature of Fells Point is the picturesque waterfront located along Thames Street. Pronounce with a strong lisp, Thhhhhh-Ames Street offers an assortment of quaint shops, restaurants and coffee shops. If you visit the neighborhood you’ll be immediately drawn to Bonaparte Breads by the buttery and sugary aroma wafting through the streets. Grab a superb café americano from the yuppie/hipster/grunge/all walks of life friendly Daily Grind, and you’ll taste why/how the coffee trade made Fells Point wealthy. Aside from sugar and caffeine draws of the district, there is a great nightlife and music scene in Fells Point with the 120 local bars/restaurants offering a variety of going out scenes that are sure to please everyone. If you’re looking for a good pint head over to the Wharf Rat, where hand-crafted and pulled English Oliver Ales will revive any privateer (or dare we say pirate) ancestral blood you may have. Another solid choice for libations is Max’s Taphouse, where 118 brews on tap and 300 in the bottle await you. A word of caution to the ladies: the streets are lined with ballast stones, so wearing high heels is an at your own risk choice. For the tourist in you there’s plenty to see and all feasible in one day’s time. The Fells Point Maritime Museum, located next the Daily Grind, offers an incredible selection of art and artifacts from the heyday of Fells Point. Afterwards just walk around the corner and you’ll discover the Robert Long House, the oldest surviving residence in Baltimore city proper. On that old and ancient note, if you’re not the skittish type, you can join a Fells Point Ghostwalk and learn about the spirits that haunt the area’s residencies and pubs. There’s also the Frederick Douglass Isaac Myers Maritime Park which explores the saga of Frederick Douglass’s time in Baltimore as a young man and the life of Isaac Myers, a free born African American who founded the nation’s first African American-owned maritime railway. When you’ve had your fill of wandering the picturesque streets of Fells Point and tasting all the different flavors its restaurant, shops and sites offer, end your visit with a Watertaxi ride around the harbour and you will truly appreciate this Charm City neighborhood.